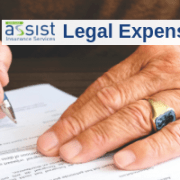 Legal expenses cover – do you need it? You may think that you’re unlikely to get involved in any legal disputes, but everyday transactions can be legally-binding contracts. If everything doesn’t go according to plan, legal expenses cover gives you the peace of mind that you will not be out of pocket, if you want to put it right. So for as little as £13.44 per year (equivalent to just £1.12 per month or 3.7p per day) you will receive up to £50,000 in legal costs and benefits from legal expenses cover. Here are just some examples of park home owners who were very pleased and relieved to have legal expenses cover in place. The policyholder contacted the legal helpline after a branch fell from a tree and damaged the back walls of their park home. They had previously complained to the park owner and raised their concerns about the tree, requesting that the branch was removed, but these requests had been ignored. Following the damage, the policyholder wrote emails and left messages with the park owner to inform them of the incident, but received no reply. As the policyholder had no other insurance policies that would cover this incident, our specialist legal insurers reviewed the case. They believed that prospects of success for the case were positive and instructed their panel solicitor to act on behalf of the park home owner. The panel solicitor contacted the park owner and managed to agree a settlement out of court. All legal fees were covered under the legal expenses insurance policy. The policyholder contacted the legal helpline after work on the flooring in her park home, had not been completed to a satisfactory standard. Despite numerous attempts to contact the contractor, the park home owner did not get a reply. The park home owner therefore submitted a claim, which was referred to our specialist legal protection insurers. They examined the case and believed the prospects of success to be above 51%, so they instructed their panel solicitor to begin legal proceedings on behalf of the park home owner. The panel solicitor eventually managed to enter into discussions with the contractor, who agreed to rectify the park home flooring, which was completed to a satisfactory standard. 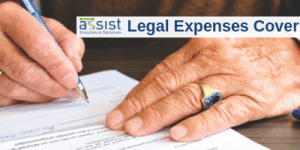 All legal costs were covered under the legal expenses insurance policy. A park home owner contacted the legal helpline, as they were being pursued for non-payment of rent by the owner of the residential park. The park owner stated that the rent had increased, and if the policyholder did not pay this additional rate, they would take legal action to remove them from the park. This rent increase had not been previously discussed, and the specialist legal protection insurers returned the prospects of success for the case as being over 51%. They agreed to instruct a panel solicitor to act on behalf of the policyholder. The solicitor contacted the park home owner to discuss the claim and managed to settle the dispute out of court, with the park owner agreeing to stop pursuing the policyholder. All legal costs were covered under the legal expenses insurance policy. If you choose to take out legal protection cover when you buy or renew your park home insurance, it is not limited to issues relating to your park home. You’re also covered for legal expenses incurred in a wide range of situations, for example, cases involving ID fraud, social media, personal injury and employment disputes. For more information about our legal expenses cover, contact our park home insurance team. To keep up to date on more topics like this, please follow us on Facebook, Twitter & LinkedIn.